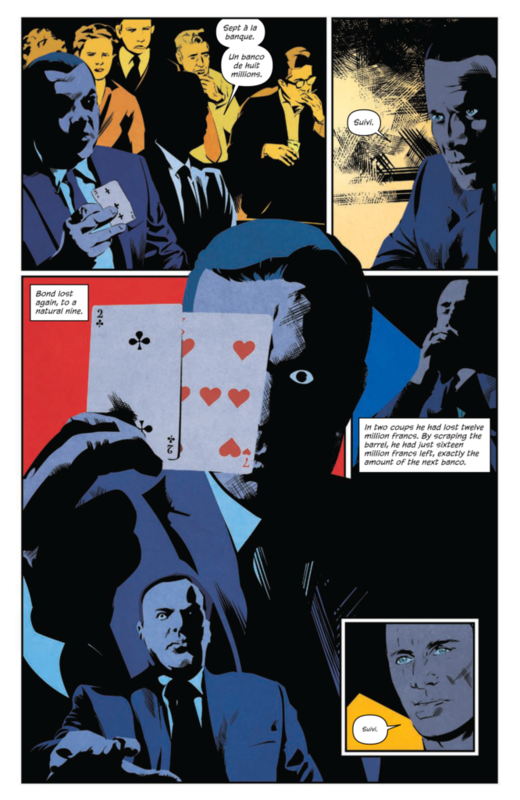 The graphic novel of Casino Royale is now available. 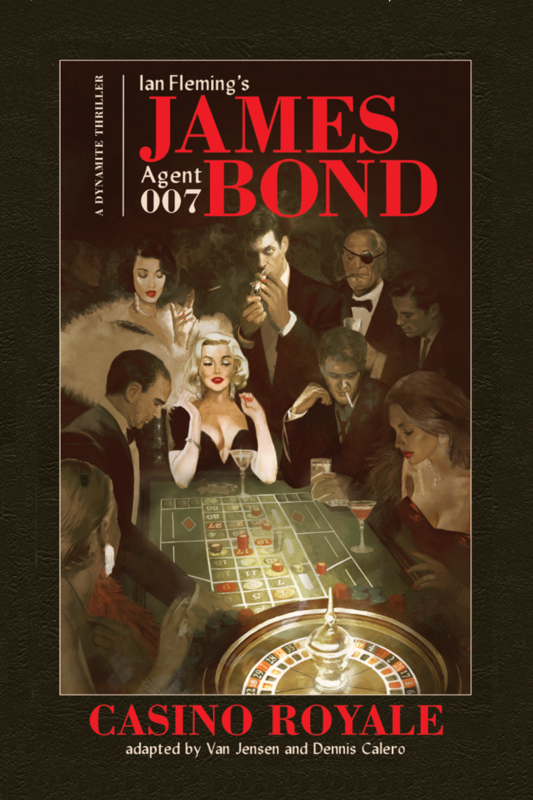 Adapted by Van Jensen with stunning artwork by Dennis Calero, this visual delight is a fantastic addition to the James Bond library. The first time we meet James Bond, he is not what one might expect. We join him in a French casino at 3am where the air is stale and the mood is sombre. Far from being the slick superhero familiar to film audiences, he is a dark and brooding character on the edge of his nerves. The faded glamour of the casino at Royale-les-Eaux perfectly enhances the ‘dirty business’ of spying and creates a low-lit and moody setting for the tense power play that unfolds across the baccarat table. Bond’s mission is to attack the Soviet machine, SMERSH, by bankrupting one of their agents, the avaricious and ruthless man known as Le Chiffre. The two men go head-to-head in a battle of wits but little does Bond know that his enemy holds the trump card all along. The calm elegance of the casino contrasts perfectly with the violent battle between the two men, and the unpredictable charm of luck runs through the heart of both the cards and the game of espionage. 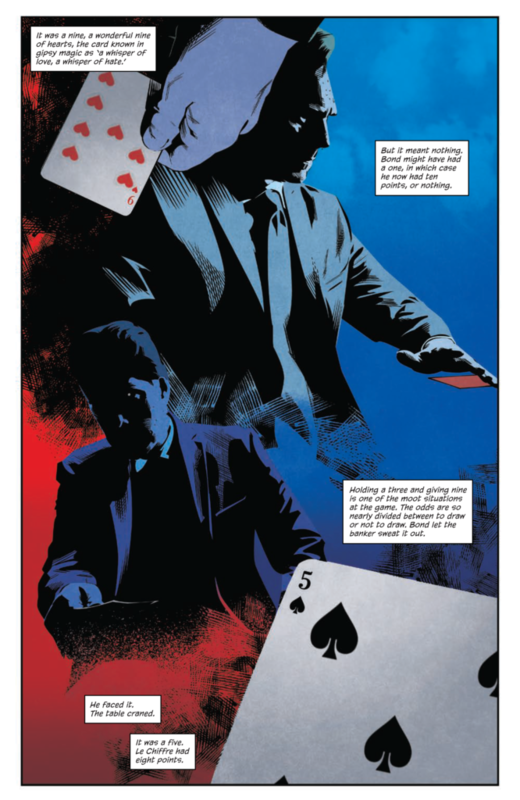 Adapting Casino Royale into a graphic novel is no mean feat. Readers of the original will attest that the thrill of the experience comes as much from the pace of the plot as Fleming’s lively style. The graphic novel as a medium demands that images conjure the atmosphere and that the nuances of character must be shown in expression and language rather than relying solely on description. 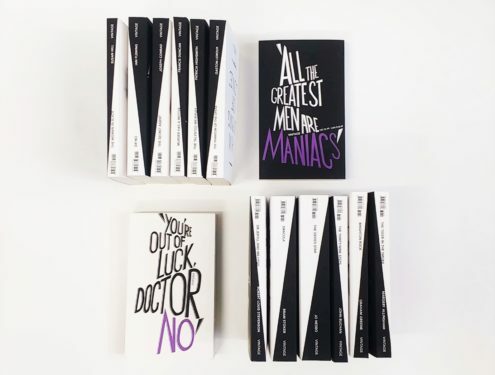 So, the first challenge of this project was to create a script that would encapsulate the essence of Fleming’s novel without overloading the artwork with too much text. With this in mind, writer Van Jensen began by selecting Casino Royale’s most crucial scenes and dialogue to construct a comprehensive and accurate script. Alongside this, there would be two further elements to make the project as faithful to the original as possible. The first of these comes directly from Fleming, whose narrative voice presides and his unique turn of phrase is preserved in order to accentuate the actions and atmosphere. For example: ‘Like an octopus under a rock, Le Chiffre watched him from the other side of the table’, or the novel’s famous first line: ‘The scent and smoke and sweat of a casino are nauseating at three in the morning’. Fleming’s gift for sensual description and characterful attributions to inanimate objects, such as describing playing cards as, ‘inert like two watchful pink crabs’ are key to successfully evoking the spirit of the original. The second element is what Jensen has coined ‘Bond View’, in which, during the course of a scene, the reader will see Bond’s analytical mind highlighting dangers and commenting on the people, objects and setting around him. These additional captions appear in white text outside of the word balloons, arranged close to their subject in the panel. 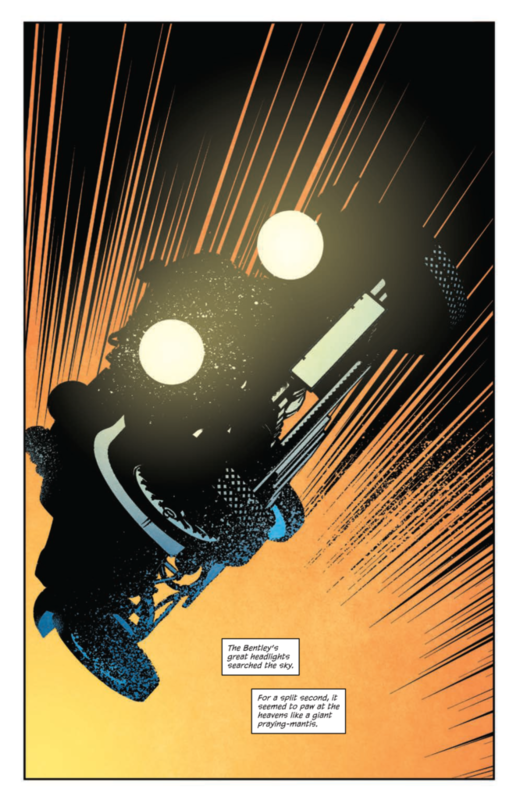 Again, they take their cues from Fleming, translating Bond’s world-view into a visual form. This includes the quick calculation of risks, the habits and observations of a trained secret agent, and the preferences and opinions of Bond the man. Of course, all of this rests on top of new original art by Dennis Calero. A master of shadows and dramatic lighting, his style sings to the tense, atmosphere of the novel, and the paranoid and careful life of a spy at work. The moment Bond sets foot in Royale-les-Eaux, he is under scrutiny and in danger, and the visual tone is a constant reminder of this. 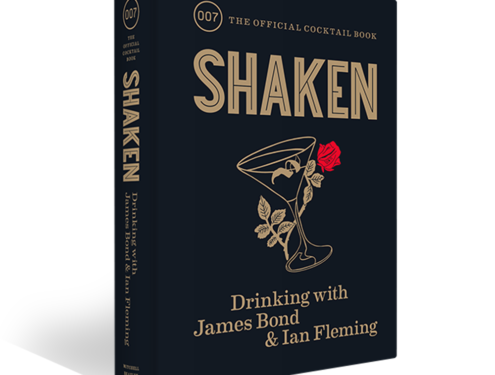 When combined with colouring by Chris O’Halloran, the book achieves a visceral quality that fits perfectly with Fleming’s Bond. Violence is felt as well as seen, the sensory overload of the casino is palpable, and the narrative crescendos explode into mesmerising spectacle. When Casino Royale was first published in 1953, it struck a chord with its readers. Britain was reeling from World War Two, rationing was still in force and the nation’s global importance was on the wane. Audiences reached for Casino Royale to indulge in escapism and to believe in the vision that, behind the scenes, Britain was still a major player. The fanciful yet brutally real world Fleming created was entertainment in its purest form. The graphic novel of Casino Royale is a faithful adaptation, with a new dimension and fresh energy. Although the original story was conceived in a very different time for a very different audience, this version aims to transcend the years and deliver the same tension and power that enraptured readers all that time ago. To buy a copy of this graphic novel please follow the link to Amazon, Waterstones or a digital version at Comixology.